Most children, whether younger or older, struggle with at least one subject in school. Poor grades, diminished self-esteem, and a negative outlook on the whole school experience can leave your child feeling frustrated and defenseless. When you enlist the help of a tutor, your child not only has someone on his side helping him to grasp the material, but he now has a weapon to use against these negative attitudes. Many students can easily name their favorite subjects as well as those that give them the most difficulty. It's easy to focus on the things that give us a hard time, while not remembering the areas in which our strengths lie. This is one of the ways tutoring can help. Your child's tutor should work with his or her strengths to help them study more efficiently, understand the subject, and improve his or her grades. Many times it's simply a matter of teaching them simple memorization rules or just giving them the time and one-on-one attention they need. Many children, if given the chance to inquire about something they don't understand, will be able to comprehend the concepts instructed. However, they might be afraid to raise their hand in class for fear of looking stupid or it appearing as though they weren't paying attention. A common thought is, "Well, everyone else seems to understand it. There must be something wrong with me." Embarrassment and shame can be a heavy weight to carry. With a tutor, your child has no need to be afraid to ask questions. With private instruction, he or she is free to say, "I don't understand this," without the fear of judgment or chastisement. * Is your child losing interest in school? * Have their grades gone down recently? * Have you noticed a decline in their self-esteem? * Does he or she have a hard time reading? * Are they struggling to finish homework? * Is there talk of wanting to drop a class? If you answered yes to any or most of these questions, tutoring may be beneficial for your child. And don't forget, these are sometimes the less obvious signs. Quite often, simply opening up a dialogue with your child can reveal problem areas. Sometimes a child will admit to a parent that they've tried their best but they're just not getting it. This can be a clear indicator that your child needs assistance beyond what the school is providing. So how does one go about finding an appropriate tutor? Start with talking with your child's teacher or instructor to see if they have any recommendations. Also, with the No Child Left Behind Act, your child may be eligible to receive free tutoring services. It's been estimated that less than 15% of those who are eligible actually taking advantage of these services. Other providers include private organizations as well as non-profit companies. "My students increased their ACT score by 10 points!" - tutor, Madion, AL. To learn more about college prep tutors, click here: http://www.inhometutorsalabama.com. Lesson by Catharine Young, animation by Patrick Smith. Having a child who struggles to learn in school can be heartbreaking. Fortunately, there are many things you can do to help them succeed, beginning with hiring personalized, one-on-one assistance in their worst subjects. These professionals will help to boost your student's self-esteem and make them feel more prepared for their classes. Your child may have a difficult time understanding a particular subject, while others come more naturally to him or her. This is common-everyone has his or her strengths and weaknesses. 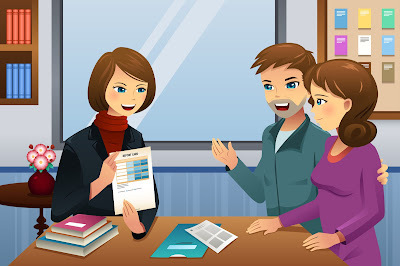 Hiring a tutoring service in just the areas where your student needs extra assistance is a great way to keep them on track without overwhelming them or making them more confused. Talk to your school's counseling department and see if there are teachers on-hand who can give them extra lessons in areas where they seem to struggle most. Your student may never get straight As, but that doesn't mean you can't reward them for doing their best. Offer small prizes for turning all of their homework assignments in, for completing a tutoring lesson without complaint, or even for not getting any low grades on an assignment. As your child gains confidence in their work and realizes that you notice all of their improvements, they will continue to do well and create their own motivation to succeed. If tutoring and rewarding your student fail to get you the results you are hoping for, and you still see them frustrated over certain subjects, perhaps it's time to talk to their teachers. They may have an instructor who has a different teaching tool than your child understands, or maybe they sit next to someone in class who keeps distracting them. Talk to these educators to see what the both of you can do to help your kid be more attentive and successful in class. It may help to have tutoring done while they are in class, or it could be beneficial to move them to the front of the class where they can learn without interruption. One of the best things you can do as a parent is to avoid telling your kid that they should do better. Don't just tell them-show them! Offer them opportunities by getting them tutoring and providing a quiet place to study at home. Give them a schedule that they can adhere to so they are more likely to finish homework at a decent hour and allow them plenty of relaxation time so they don't always have their nose stuck in a textbook. These are ways you can make learning a better experience for your child. When looking for professional tutoring, parents trust http://clubztutoringgreaterboston.com. Watching a child fall behind in school is tough. Parents constantly wonder what they can do to help their child succeed in school, but they don't know if hiring someone to help is a good idea. There are many benefits to hiring a private tutor to help kids overcome academic challenges. When it comes to helping a child with their schoolwork, it is all about perspective. While parents and teachers may feel like they are doing everything they can to help the child, in reality, they may not be trying all avenues. A private tutor may have a fresh perspective or methods that work better for the child. Extended knowledge of a subject can also benefit the student and give him or her the upper hand when it comes time to take a test. More often than not, the student needs help in one or two subjects, and he simply isn't getting the help he needs in the classroom. It isn't because the teacher is inadequately teaching the subject. The disconnect is often due to the limited time available. One-on-one instruction allows the student to ask questions and gain a better understanding of the challenging subject matter. With tutoring, the instructor will be available to one student for the entire duration of the lesson, and only that subject will be covered during their time together. It also gives a shy child the opportunity to ask the questions that they are afraid to ask in class. Instruction is tailored to the child. That means that if a child has missed some key points, the instructor can help him get caught up with the rest of the class. If a child is bored in class, and not paying attention as a result, the instructor can take the opportunity to give the child a bit of a break in order to get him back on task quickly. In some instances, more information can be covered in a short time frame as the instructor can tailor the sessions to the exact learning pace of the child. In addition to tailoring the lesson plan, the student will be in an area with fewer distractions from classmates and friends. The best benefit of hiring a tutor is that the parent chooses the individual who will be teaching their child. In school, the administration puts kids in classes where they think they will work best. However, this doesn't always work, and they can't change once the year has begun. With a personal instructor, if a style or personality is not working for the student, the parents can get someone that does. When a child fails to grasp a concept, it can be devastating for the student. It damages a child's self-confidence and makes them feel as though they are just not smart enough to do the work required of them in school. In most cases, that simply is not true. A private tutor can provide the individualized attention needed for the child to learn and recover the confidence to succeed both in the classroom and in the world at large. To learn more about their options for a private tutor, Greater Boston residents should visit http://clubztutoringgreaterboston.com/. Lesson by Megan Campisi and Pen-Pen Chen, animation by Steff Lee.